Just a couple of days after we learned that it was possible to embed and play MS-DOS games in tweets, the fun has come to a screeching halt. The loss of embedded functionality was noticed by VentureBeat and confirmed by me, thanks to Ian's tweet that included a link to Wolfenstein 3D on Archive.org. Now, instead of being playable, the link now simply leads to the site. 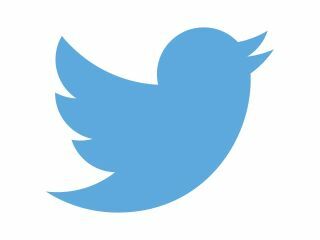 The problem appears to be due to Twitters rules for "Player Cards," through which developers can "deliver rich media to users across the globe." With some limitations, naturally; things like Vine and SoundCloud embeds are fine, but "Player Cards are reserved for linear audio and video consumption only." "Do not build end-to-end interactive experiences inside the video or audio player unrelated to Player Card content, such as the following: purchasing, gaming, polling, messaging, and data entry," the rules state. "Instead, build these interactive experiences with our other Card types or enhance your Player Card content with links to your website or mobile application." Embedded videogames are clearly in violation of that guideline, and so it's not terribly surprising that they're gone. Nor is it the end of the world; the games are still playable on Archive.org, so practically speaking it's really just one extra click to get to the goods. But it's not nearly as neat, is it?